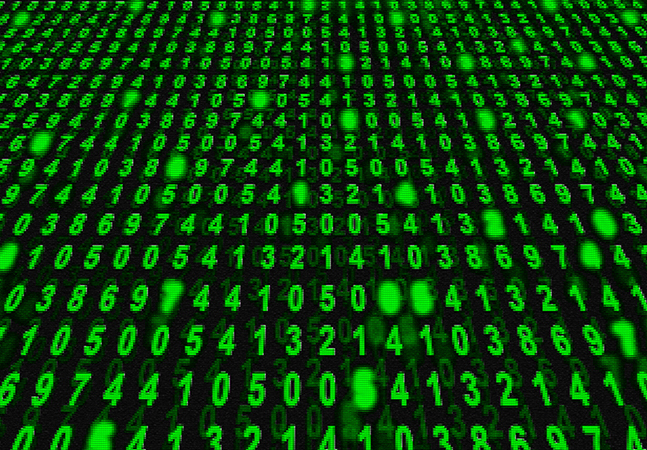 Maybe Big Data isn't so unstructured after all. 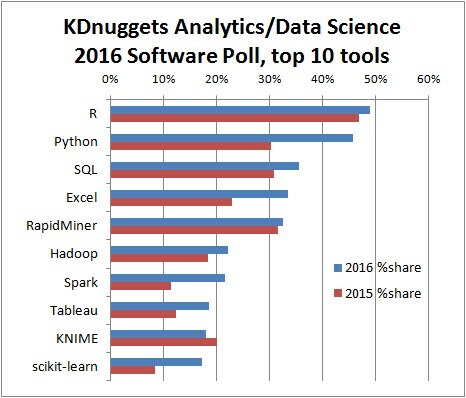 Contradicting a popular view that sees programming languages such as R, Python and Java as the top tools for data science (which has been dubbed the "The Sexiest Job of the 21st Century"), new research shows SQL holding its own. 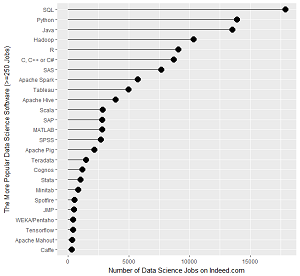 That research was recently published at r4stats.com, a site that analyzes trends in data science software with -- as the name suggests -- a focus on the R programming language. As Bob Muenchen explained in a blog post yesterday, he recently updated his tracking methodology to include job advertisements from Indeed.com, a jobs site with extensive data mining capabilities. Muenchen developed a protocol to focus on data scientist postings from Indeed.com, which is more complicated than it sounds. 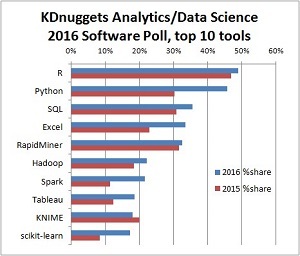 While Muenchen's main takeaway was that "R Passes SAS, But Python Leaves Them Both Behind," the actual data shows SQL ranked higher than all of the reported data science softwares. 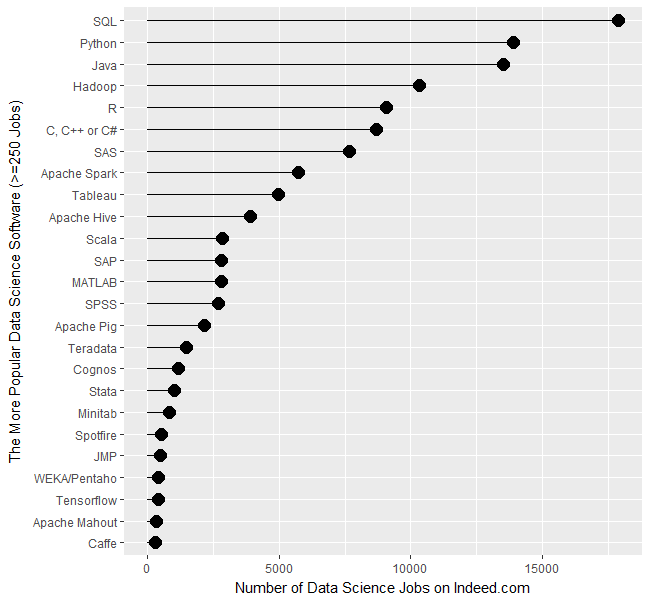 SQL, however, rated only a single mention in the post: "Figure 1a shows that SQL is in the lead with nearly 18,000 jobs, followed by Python and Java in the 13,000's." Despite the surprise No. 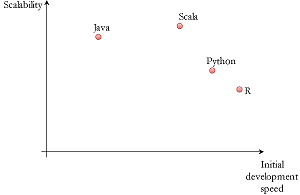 1 ranking of SQL, many industry sources focus on Python, for example, or R vs. Python, with the occasional Python vs. Scala or Python vs. Java. Taking those findings into account with a quick Web search shows that in the data science world, R and Python are consistently listed among the most prominent programming languages, with Java and Python close behind as honorable mentions. However, other research findings show SQL figuring prominently in data science in particular and Big Data analytics in general, despite being a decades-old legacy language strongly associated with structured relational database management. For example, we recently reported on how the growth of Apache Spark, arguably the most important Big Data software, is being driven by increased use of SQL in Big Data analytics, along with streaming and machine learning. And early last year, we reported on CrowdFlower Inc. research about "What Skills Should Data Scientists Have in 2016?" 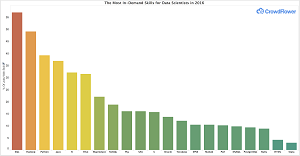 "Even if it was developed in the early 1970s, SQL plays a key role still today (in second position of ranking with 49 percent of preferences)," Data Science Central said. "Although SQL is not designed for the task of handling unstructured datasets (typical of Big Data), there is still a strong need for analyze structured data in organizations, and SQL is a very popular choice for data crunching stage." Taken all together, these reports and many others show SQL isn't quite being relegated to the back burner in the Big Data and data science fields, despite industry pundits' warnings of such effect when NoSQL began disrupting the data space. Which gets us back to the original point: Maybe Big Data analytics isn't so unstructured after all.